Classy marble from top to bottom. Looks like the marble craze that swept the world is not going anywhere anytime soon. 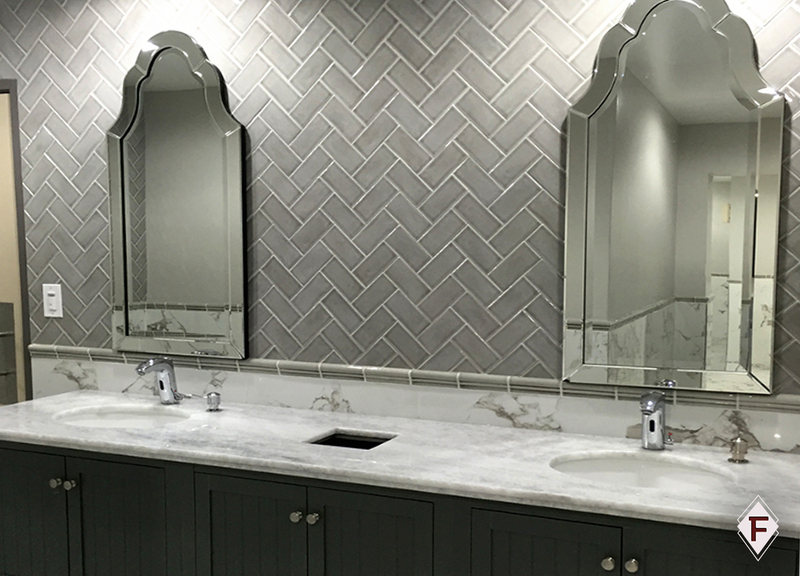 One of the top natural stone bathroom ideas for 2019 is marble. Keep it simple with black, white and grey marble. Marble bathrooms are one the hottest things in luxury and celebrity bathrooms. You will see more marble integrated into the designs of bathrooms from walls to floors. The marble designs are timeless and easy to maintain. For the 2019, the monochrome trend is skipping over bathroom designs. You will start to see more designs use one kind of stone material. Instead of using quartz and slate in your bathroom, you will see just one kind of material. The natural stone bathroom ideas are bringing lighter tones. These colors could be white, greys and tans. One of the reasons is to create the illusion of a larger space. One of the biggest trends that is taking over the Instagram world is industrial style bathrooms. People’s attention is going toward modern and elegant industrial bathrooms. They love the exposed hardware matched with natural stones. Designers are starting to leave hardware exposed to give it a cleaner and sleek look. It’s the best of both worlds. The classics are here to stay. You can never go wrong with a black and white color scheme for your bathroom. Home designers are incorporating black cabinets or black natural stone. This trending is a classic design that will we predict will stay around for many years to come.